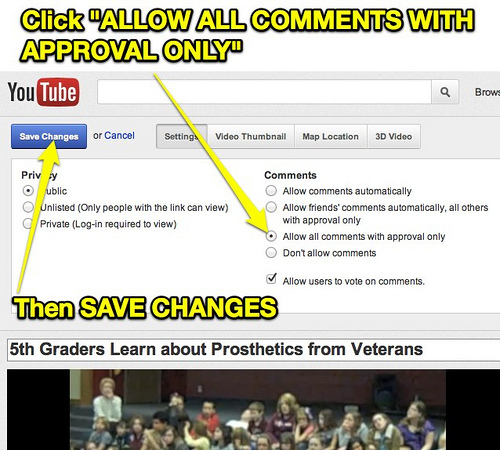 For your YouTube videos, you will have two choices: enabling or disabling comments. While it may not seem like a major decision, or at least not one worth spending more than 2 minutes thinking about, it is incredibly important. Remember that if you do decide to allow comments on your videos, you will receive a wide variety of questions and both negative and positive feedback as well as some Internet trolls. Responding to comments of any sort can also eat into your time! However, if you do not allow comments you risk missing out on potentially valuable feedback and customer interaction. You also have the option of allowing comments to be posted only after they have been approved which is a great if you are still undecided. Keep in mind if you enable comments, you open yourself up to a variety of negativity: trolls, rude comments, people belittling your company, products, and even you, as well as children who have just learned their new favorite four letter word and are itching to put it in every video comment section possible. The important thing is to avoid giving into the negative comments and attacks. It can be tempting to write something harsh back to the critic but avoid doing so at all costs! Not only does this make you look bad to potential customers, you are actually encouraging attacks. These trolls are looking for attention and are trying to get under your skin. The moment you give in and fire an insult back, they’ve already won. Don’t stoop to their level! Instead, comment something back like “I’m sorry you feel that way and I appreciate the feedback. We strive to make our company and products the best around”. However, the best option for dealing with these attacks is to simply ignore them. Trolls will not be the only ones who stop by your videos and eat up your time. You will also receive positive comments, helpful feedback, and a lot of responses from people who have tons of questions about your products but don’t feel like emailing you about it or looking for more information. If you have comments enabled, it is up to you to decide who to respond to. While it will look good for both you and your company if you take the time out of your day to respond to every comment and answer every silly question –often the same ones over and over- it can really eat into your time and budget! We recommend responding to a handful of people and keeping it short: “thanks for the suggestions/positive comments, we greatly appreciate it!” or “for more information, check out our website”. As far as enabling comments goes, the decision is completely yours. Some businesses really enjoy the customer interaction and feel like it helps improve their business. Not to mention, they often get helpful, free feedback from customers who use their products so they can get an intimate view on what is working and what is not. However, it can eat into your time and draw your attention away from other projects so you should decide beforehand how much time you want to spend replying to comments daily. If you get angry and frustrated easily, it is probably best to leave your comments disabled because you are guaranteed to get at least one bored Internet troll looking for someone to bother. 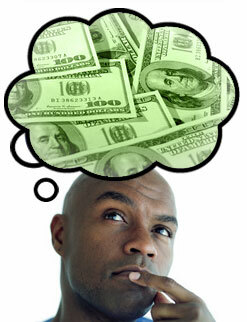 Will Enabling or Disabling Comments make Me Money? The short answer to this is: probably not. Enabling comments, like we mentioned already, can help you interact with your customers which has the potential of building your fan base and customer loyalty as well as offering you free and valuable insight into what people like/dislike about your company. So, yes the potential is there but if you spend all your time responding to comments rather than working on money making projects, then these comments probably won’t help your income.